Thanksgiving Day has come and gone and right around the corner is Christmas and New Years. These three holidays have a lot in common. We are thankful for the birth of our Savior, thankful for family and friends, and thankful for another year. Something else these three holidays have in common is food. Lots and lots of good food! Cookies, cakes, pies, snacks, and instant pot treats. It seems there is food everywhere! Unfortunately, along with food is weight gain. What can you do for help combating holiday weight gain? Plan. Assess how much weight you have gained, determine your ideal weight and develop a plan for healthier habits for the New Year. When determining your goal, ensure it is a healthy weight. Also, when developing a plan, create small goals to help achieve your main goal. Too many of us have this grandiose plan of losing weight quickly, but when that doesn’t happen, we throw in the towel and quit. On average 1-2 pounds of weight loss per week is normal. Small goals. The first 10% of your weight loss needs to be your focus. This is where the importance of small goals comes in to play. After you set your goal weight, help to ensure even better success by setting smaller goals. The first goal should be 10% of the total weight loss. If you have a lot of weight to lose this is especially important. When I lost 130 pounds I had to set these small goals for myself. It was much easier for me to focus on the first 13 pounds of weight loss rather than focus on 130 pounds. Seeing those 13 pounds fall off gave me extreme motivation to continue. After the first 10% I kept on going for the next 10%. Eat More Often. I know you might be scratching your head about this one, but it’s true. I learned this through my weight loss support groups when I lost 130 pounds. Eating more often not only helps to boost your metabolism to speed up weight loss, it helps you to maintain your goal weight once it is reached. Most of the time people who are the most successful at shedding those pounds eat 5-6 smaller meals per day. You are also curbing your appetite, improving your mood, increasing energy, and as I said earlier, boosting the speed of your metabolism. Water. Do I need to say more? Ok, I think I do. Drinking water is EXTREMELY important in getting rid of excess pounds. I have heard of people trying to lose weight and cannot because their water intake is not enough. They add in water and BOOM! Weight starts coming off! One reason that drinking water is SO very important is sometimes we want to eat and eat when in reality we are just thirsty. Your body confuses thirst with hunger. Drinking water helps you to feel full which is another benefit. I drink over 100 ounces of water each day. Suppressatite by Transformed Body Nutrition! Ok, you may be asking what is this? This is a Weight Management Supplement that REALLY works! Read below for a bit more information…..
Obesity is a huge problem that affects men, women and children all over the world. Some people struggle to maintain their ideal weight while others constantly search for something that will work for them. Diet and exercise isn’t always enough, which is why many people turn to supplements to help them reach their weight lose goal but not all supplements are equal. Transformed Body Nutrition is offering a new product called Suppressatite that promises to be different. What Is Suppressatite and How Is It Different? Suppressatite is a new weight management supplement that’s sure to get a lot of attention. It promises to be different from the rest because it targets the user’s specific needs. As a result, it helps you lose weight instead of simply suppressing your appetite. It has seven ingredients to help you lose weight as opposed to the one ingredient that most supplements have. Transformed Body Nutrition offers two formulas. One is specifically designed for women and the other for men but this supplement is not recommended for anyone under 18 years of age. Both formulas are specifically designed to stop those hunger pains that make you overeat while focusing on the whole body. It’s so much more than just a weight loss supplement designed to help you control your appetite. 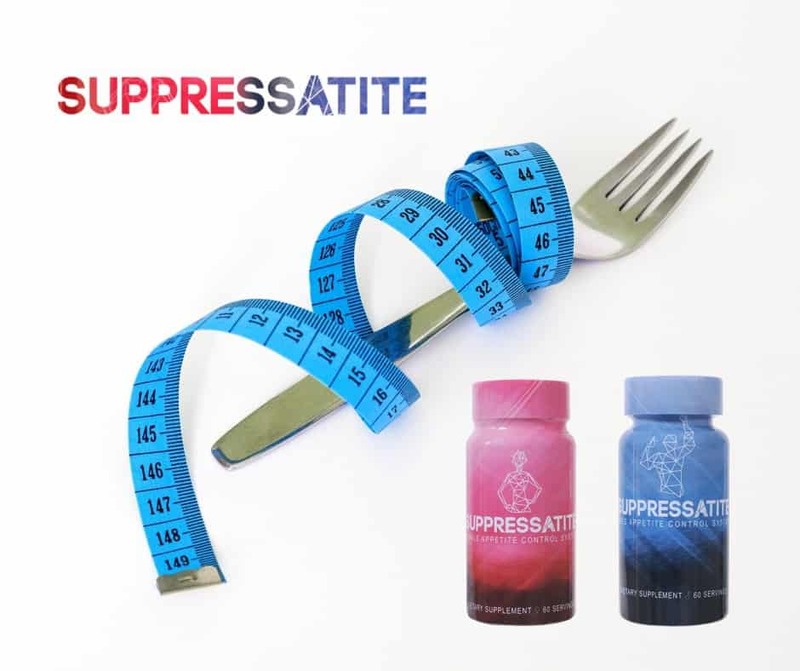 Suppressatite combines selective herbs and minerals with non-stimulant botanicals that all work together to support a healthy metabolism while suppressing your appetite. You’ll feel better and have more energy, which makes it easier for you to loss the weight you need. The ingredients found in Suppressatite works in several ways to help you lose weight. First, it helps to suppress your appetite so you eat less but that’s just the beginning. This weight management supplement converts glucose into energy and boosts your metabolism. As a result, you’re more active and have the energy to engage in some form of exercise to help burn calories and build muscles. It also promotes lean body mass, which helps you maintain a healthy body mass index or BMI. 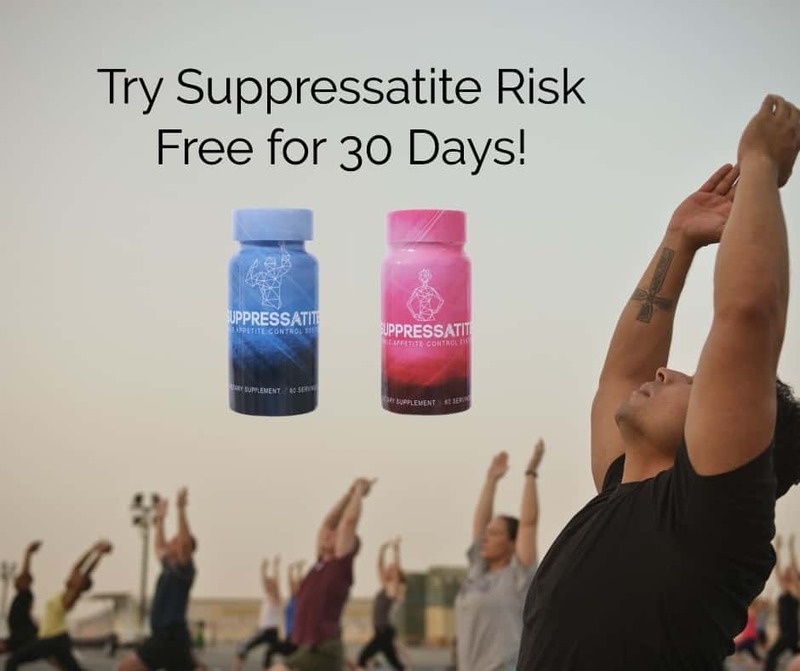 Suppressatite helps the body maintain a healthy cholesterol level and blood glucose level, which in turn helps to control your appetite naturally. It also supports cardiovascular health and improves your mood. The result is a weight loss supplement that really works. Where Can You Find This Amazing New Weight Loss Supplement? Suppressatite will be available around the middle of December for both women and men. Your body is one of a kind and your weight management system should be, too. Right now through my website you can purchase this awesome product using the code: Combo. When using that code you can buy one and get one FREE! If you have any questions about how to start your new weight loss journal with the help of Suppressatite, just let me know. I’m here to help! In the meantime the good people at Suppressatite are offering a giveaway of their products to THREE lucky winners! So make sure you enter. Previous Post: « Making Holiday Memories with Christmas Crinkle Cookies!